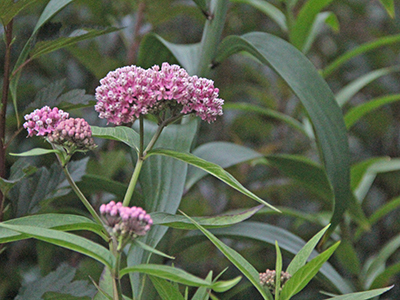 As temperatures begin to creep up, a true staple of summer starts to emerge. Hydrangea serrata ‘Diadem’, mountain hydrangea, is one of many well-loved hydrangea species, and an excellent addition to any garden. 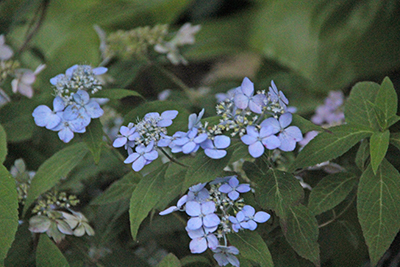 The cultivar ‘Diadem’ belongs to the lacecap group of hydrangeas, and like most, does well in full to partial shade. 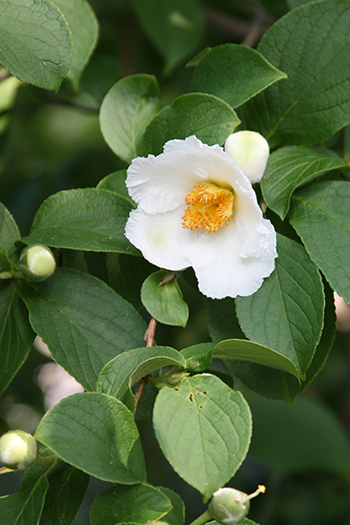 Although Stewartia pseudocamellia does indeed have smallish white flowers of a similar size, the blossom in your photo seems to be of a Magnolia virginiana or sweetbay magnolia. I love the way the blossoms fall to the ground …faces up! Marcia m.
I love the way the blossoms fall to the ground, faces up!